Reprinted by permission from Macmillan Publishers Ltd: Nature, copyright 2008. Romanowicz, B., 2008. Using seismic waves to image Earth's internal structure. Nature, 451:266-268. 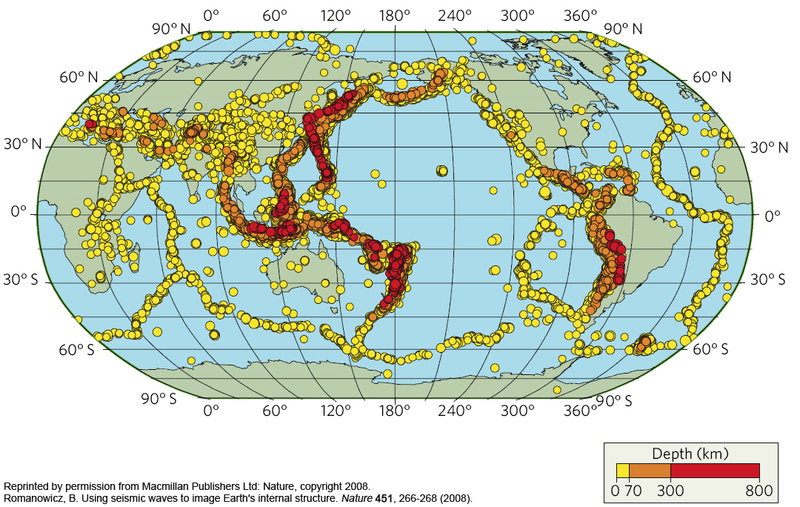 Most earthquakes take place within 70-100km of the Earth's surface. They are confined to the lithosphere (moving plate). Althouth the layers of Earth that lie below the lithosphere can allow seismic waves to pass through, these layers do not generate many earthquakes. Unusually deep earthquakes occur near the edges of some continents, particular around the Pacific Ocean. 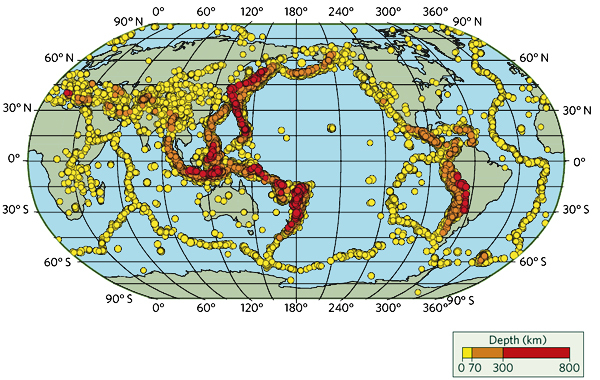 These deep earthquakes tend to deepen towards the interior of continents. Which colored circles represent deeper earthquakes, yellow or red? 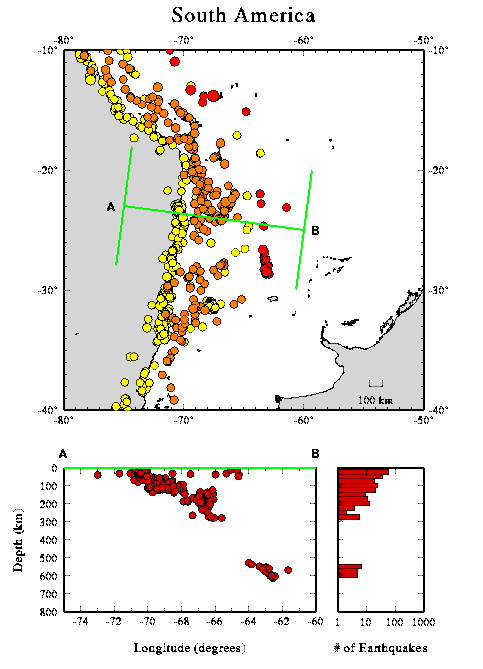 Are most earthquakes at midocean ridges relatively shallow or deep? Are most earthquakes under South America on the east or west sides of that continent? Do more earthquakes take place at the edges of continents or tectonic plates? Are the deepest earthquakes found nearest to the coast of South America or further inland? Why are there unusually deep earthquakes on the edges of the continents around the Pacific rim? © 2007 Earthguide at Scripps Institution of Oceanography.